age, you do increase the risk of developing age-related eye conditions, such as age-related macular degeneration, cataract, diabetic eye disease, glaucoma, low vision and dry eye. Age-related Macular Degeneration (AMD) gradually affects your sharp, central vision. Those affected usually have a family history of the disease or a history of smoking (which can double the risk). As you age, the lens in the eye may cloud, referred to as cataracts. The lens of your eye is similar to that of a camera. It focuses light onto your retina, records the image and then sends the image to your brain. Your lens also adjusts your focus. Risk factors for cataracts are smoking, ageing, prolonged exposure to sunlight, diabetes, or simple wear and tear as you age. Glaucoma is an eye disease that affects the eye’s optic nerve, causing vision loss and blindness. Those most at risk are people with a family history. Dry eyes may not seem like an illness, but it can be troublesome and worsen with age. Dry eye occurs when your tear ducts do not function properly, or your tear consistency is off balance, causing your tears to dry too quickly, thus not lubricating the eye. Many factors can contribute to dry eyes, such as medications, advancing age, rosacea, autoimmune disorders, laser eye surgery, seasonal allergies and prolonged periods of screen time (insufficient blinking). Can supplements support Eye Health? 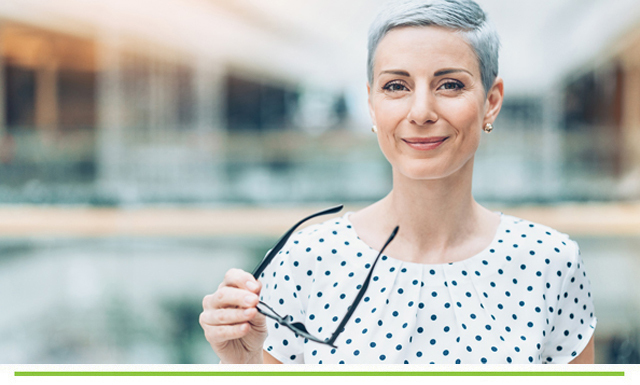 Traditional vitamins and minerals such as beta-carotene (vitamin A), Vitamin C, Vitamin E and Zinc supplementation have been studied for their antioxidant benefits with eye health being one such benefit. They have shown the most relevant changes with the prevention and reduction of age-related macular degeneration. Vitamin A plays a role in protecting the cornea, Zinc helps your body absorb Vitamin A, Vitamin E may help with age-related cataracts, Vitamin C may help reduce risks of cataracts. Vitamin C is also required to make collagen, which is a protein that helps provide structure to your eyes. Riboflavin and Thiamine (Vitamin B1) are two essential B vitamins that we often write about. They both have the potential to reduce the oxidative damage to your eyes, helping to prevent cataracts. Newer supplements that are emerging for eye health are Lutein and Zeaxanthin. They are both parts of the carotenoid family and are found in the macula and retina of your eyes, protecting your eyes from damage and helping to filter potentially harmful blue light. Studies show that these compounds may help to prevent cataracts and slow the progression of macular degeneration. DHA is a type of Omega 3 Fatty acid, which is found in a high concentration of your retina. Increasing your intake of Omega 3 may play a positive role in age-related eye diseases, such as diabetic retinopathy and dry eyes. 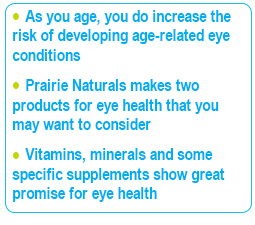 Taking all of these great supplements for eye health can be daunting, Prairie Naturals makes two products for eye health that you may want to consider. 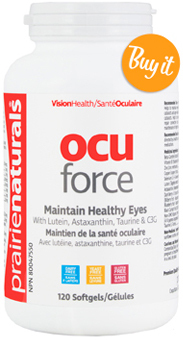 Prairie Naturals Ocu-Force contains a blend of therapeutic medicinal ingredients known for eye health. The Ocu-Force formula can help protect your eyes from free radical damage, reduce oxidation of retinal tissue, improve night vision, increase circulation to the eye and reduce eye strain. Prairie Naturals also makes a supplement called OcuBlue. OcuBlue is a blue light protection formula which contains beneficial carotenoids such as lutein and zeaxanthin and newly discovered Astaxanthin (derived from marine microalgae). The OcuBlue formula shows great promise for reducing the effects of blue light, age-related macular degeneration, diabetic retinopathy, glaucoma, neuropathy, and inflammatory eye diseases. The two products taken together create a powerful solution for age-related eye health. Please consult your health care providers if you have medical conditions that may interfere with some natural supplements.